Institute of Banking Personnel (IBPS) has released the notification for IBPS RRB 2018 for 10,190 vacancies. According to the official notification, the application form of IBPS RRB 2018 will be available from June 8, in online mode. Aspirants can fill IBPS RRB 2018 application form till July 2. Candidates can check all details and fill the application form by clicking on the link below. The total number of vacancies announced this year is far lesser than the vacancies last year. In 2017, IBPS RRB had announced as many as 15,260 vacancies. This means that this year there are 5070 lesser number of vacancies. IBPS RRB 2018 post-wise vacancies can be noted from the table below. Out of the total vacancies, 5249 are for Office Assitant, 3312 are for Scale I, 1469 for Scale II and 160 for Scale III Officers. This means that the maximum vacancies are for the post of Office Assistants (Multi-purpose). Under Scale II, there are a total of 1469 vacancies, of which 261 are for Specialist Officers, while 1208 are for the post of General Banking Officers. In Scale II, the vacancies have been announced for the recruitment of candidates for the posts of Agricultural Officers (72), Marketing Officers (38), Treasury Manager (17), Law (32), CA (21) and IT (81) Officers. It must be noted that for candidates aspiring to be recruited as Scale I Officers and Office Assistant (Multi-purpose), the test will be two-tier - prelims and mains. The candidates applying for the post of Office Assistant will be provisionally recruited on the basis of the marks they would obtain in IBPS RRB 2018 main exam. On the other hand, candidates willing to join as Scale I Officers, after qualifying prelims and main exam, will subsequently be called for a common interview. This interview will be conducted by NABARD and IBPS, in consultation with the appropriate authority. 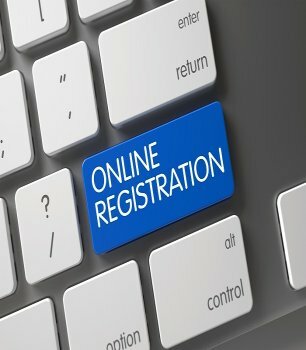 Candidates applying for Officers Scale II and III, will have to appear for a single online examination, qualifying which, selected candidates will be called for a common interview. This interview will also be conducted by NABARD and IBPS in consultation with the appropriate authority.